embroidery, printed textiles and fine printing . Now studying Art Textiles Crawford College Cork. Textiles are my passion ! 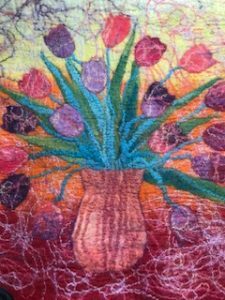 A member of The Quilters Guild of Ireland, Feltmakers Ireland and the Embroiderers Guild of Ireland. Exhibited in 2018 with Laois Quilters at Mountmellick Library. A member of Stradbally Country Market for a number of years , which supplies local grown vegetables, locally produced baked foods and local crafted art and crafts . Once the semester in Cork is over I hope to have a very productive summer at Art House Stradbally. 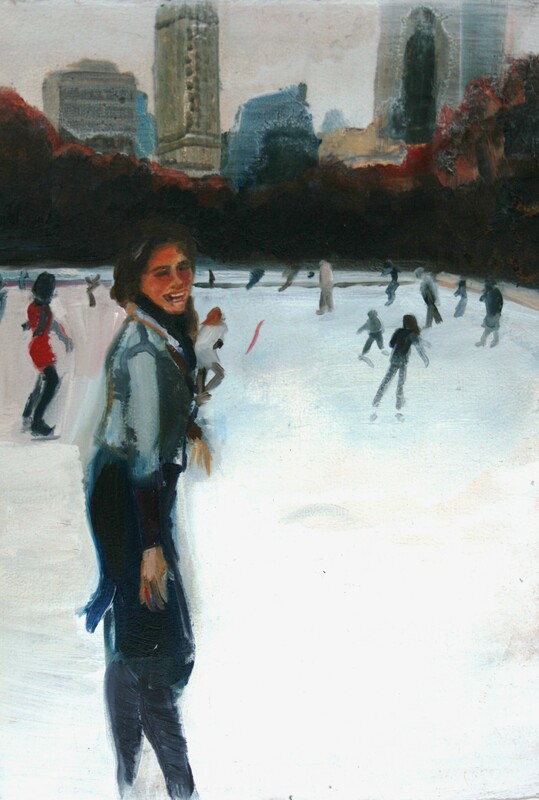 Artist Maria O’Brien is one of our resident artists at Laois Arthouse. 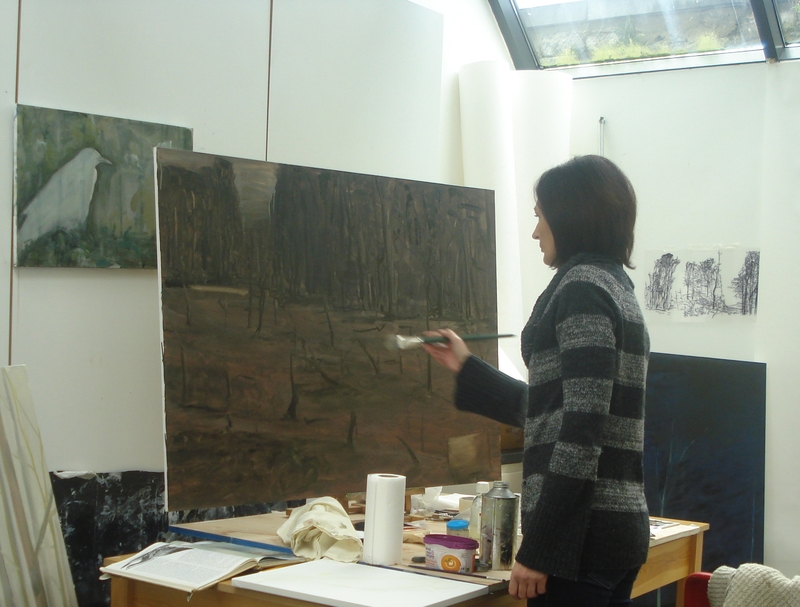 Maria was the recipient of a residency in Laois Arthouse for the month of August 2014. As well as being practicing artist, Maria is an art teacher in the Midlands Prison, Portlaoise. She has an honours Masters in Fine Art NCAD, a Hdip from Limerick School of Art and Design and a first class honours degree in Fine Art from NCAD. 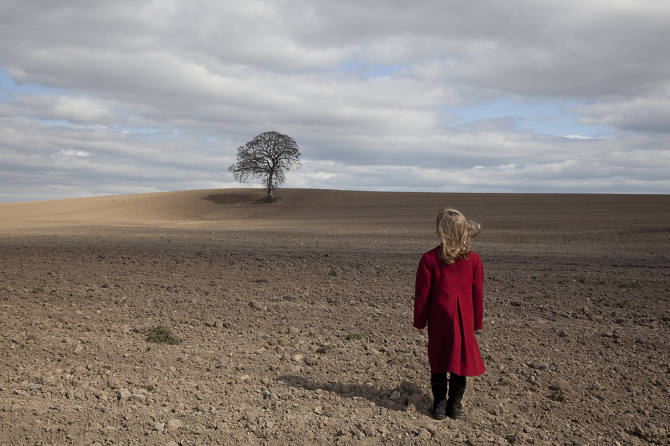 She has exhibited widely in group exhibitions such as the Boyle arts festival, Eigse Carlow and ‘Still-life and Interiors’ curated by Bernadette Madden, in Gormley’s Fine, South Great Fredrick St. Dublin, 2013. She has had number of solo exhibitions, including a show in the Dunamaise Arts Centre in 2010 and the solo exhibition award from North Tipperary County council 2011. Artist Michael McLoughlin a seven month residency. A recurring consideration in his work over the last 20 years has been a focus on what brings groups of people together, what is the connection that drives them, where does the balance between personal relationships, friendships, ideas, ideals or common goals lie. I make drawings, sculptural objects, video and sound installations. The work often examines the value placed on the feelings of ownership, belonging and connection experienced by both the individual and the collective. I describe what I do as audio-cartography. It’s a process of mapping the space that conversations occupy and recording them so they can be recreated during an exhibition, in 5 years time, or in 20 years time. It’s almost like a reverse archeology; preparing fragments of the present to be reconstructed in the future. And while resident in Stradbally, I hope to make new work relating to the town. Michael McLoughlin makes sound work, drawings, sculptural objects, video and installations. Since the mid-1990s he has consistently developed and presented new ways of making contemporary artwork in social contexts. 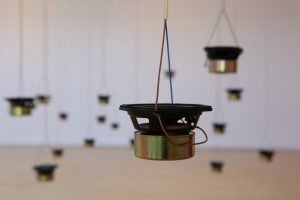 This year he has made site specific audio work in Limerick (Cumann:An Audio Map of Limerick, Limerick City Gallery of Art), Drogheda (Cumann, Droichead Art Centre, & as part of Beyond the Pale, Highlanes) and in Dublin (Rest Here, UCD Sutherland School of Law & Ocean Wonder Resort Revelations, Portrane). His artists book of drawings, I am here because I know you will be too was published by Dublin City Council in 2014. Michael McLoughlin has exhibited widely in Ireland and internationally. Previous work includes: It’s nice to see our friends once in a while, The LAB 2010; I only come here cos it’s free, Limerick City Gallery of Art 2008. Welcome Back, Breaking Ground, Ballymun 2006-2007; Audience (1) Waltzers with Mary Nunan, various venues 2007-2008; Bypass/Shared Designs Limerick City Gallery of Art, 2003. Visual artist Saidhbhín Gibson to the Arthouse for a new residency in 2016/17. Saidhbhin commenced a three month artist-in-residence in The Arthouse in Stradbally and started working with the pupils of Cosby National School. “For this residency at The Arthouse I will focus on an important aspect of my studio practice which involves the “collecting” process. Bringing the outdoors in, I’ll be editing my findings and developing their arrangements. This residency is providing an important space and period of time to interrogate my practice in the studio. “The Laois landscape is intriguing and the experience of seeing and being in these spaces will feed into the work also. “Alongside working in the studio, I’ll be working with the pupils of The Cosby School, Stradbally and together we’ll research the local avian population. The accumulative findings will be on display in June in The Arthouse.” Saidhbhín is based in the south-east of Ireland and is currently studying for a M.F.A. at N.C.A.D., Dublin. She has exhibited on two occasions in The Arthouse; ‘Work from the Middle’, curated by Muireann Ní Chonaill (2014) and ‘Make good, make better’, solo show (2013). Sharon Murphy was artist in residence at Arthouse, Stradbally for the months of May and June 2015. She is a lens-based artist working primarily in photography and video but her work draws on theatre and on wider performance disciplines. The dual focus of her artistic practice and professional interest (the interiority of childhood/the performative in photography) derives from a career in theatre and the wider arts including TEAM Theatre, The Abbey Theatre and Dun Laoghaire Rathdown County Council Arts Office. During the residency she will research and develop a body of photographic and video works which offers a contemporary take on the genre of portraiture. She is interested in collaborating with young artists and youth ensembles to make a new series of work which explores and celebrates ‘transformation through performance’ and what it means to perform. Sharon Murphy has shown in a wide range of group exhibitions, most recently at Damer House Gallery Roscrea, DLR Lexicon Gallery (Dun Laoghaire), The Royal Ulster Academy (Belfast), The Royal Scottish Academy (Edinburgh) and Dimbola Museum and Galleries (Isle of Wight, UK). 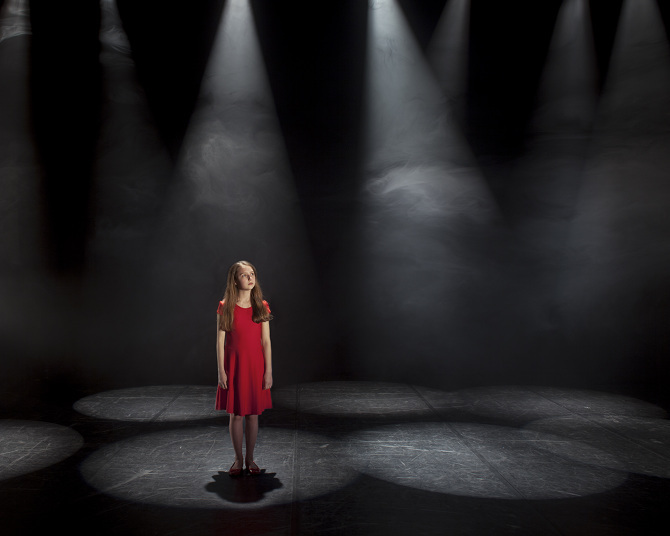 She was also recently shortlisted for the Inspiration Arts Award for her series Intervals. Sharon lives in Dun Laoghaire but is originally from Carlow. Artist Jock Nichol was artist in residence in July and August 2015. Growing up in the shadow of the Cheviot Hills in the Scottish Borders, gave Nichols an early fascination and curiosity about the landscape – especially marginal lands, where evidence of man-made interventions co-exist in an uneasy balance with nature. 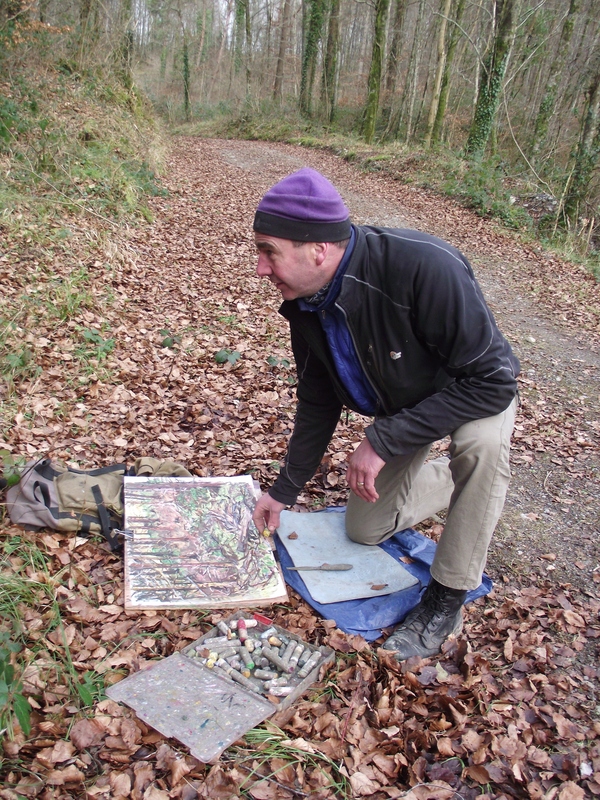 Since moving to the Irish Midlands in 1991, the open spaces of the bog and forests of the Slieve Bloom Mountains have become the focus of working outside central to his practice. Being immersed in the constantly changing sights and sound of the environment encourages a more intuitive and receptive reponse to the subject, honing observational skills and infusing the work with a subliminal sense of the surroundings. Through his work Nichol tries to find the “essence” of a particular place which has become very familiar through repeated observation, yet still never ceases to surprise. However, this can be a very solitary process, so he is very excited at the prospect of working alongside others in an environment of mutual support and encouragement, exchange of ideas, and informal criticism. Only when we open our eyes and begin to look do we really see the true nature of the place, beyond the superficial or picturesque. Arthouse, was first prize in the 2013 Open Submission Group Show at the Dunamaise Arts Centre. Noel Kelly, CEO of Visual Artists Ireland, was invited to select the work for the show and the winner. ‘The starting point of my work is the figure in landscape and I work mainly in oil paint. I paint from photographs, both my own and from photos posted on social media sites. The photos that interest me the most are of people at leisure or on their holidays; I use these photographs as a starting point and through painting from them, new narratives emerge. I recognise a collective romanticism or yearning for the experience of the sublime or adventure and a love of kitsch’. ‘I find that doing a residency away from the usual routine and space that I work in very beneficial. It gives me a chance to see the work in a new light, to come up with fresh ideas and to get lots of painting done’. Since September I have been in residence in the Arthouse as a recipient of the Laois Arthouse Award 2014. As a visual artist working predominately in painting and drawing and also with communities, a variety of themes influence my work. A central preoccupation is with what lies beneath the surface of our everyday lives. During my three months residency, which is sadly nearing the end, I set myself the task of exploring the “wild” in County Laois. Asking myself questions whether the wild, metaphorically or in ecological terms still exists in the local places where we live, and whether the natural world still has influence over us. See some notes on my research here. During my time here I have enjoyed meeting residents of Laois through community workshops and events, including a Shadow Play event for children & families on Culture Night and a series of adult painting workshops to create portraits of much valued pets. I look forward to upcoming children’s workshops and a community event with interest to older residents, in collaboration with writer in residence Nuala Hayes. Work I have made over the course of the residency will be exhibited in the Arthouse in the upcoming months. Lorraine Walsh graduated with an MFA in painting from NCAD in 2007 and a BA (!st class hons) in Fine Art & History of Art (2005) also from NCAD. She has participated in numerous group shows in Ireland & internationally,. Selected exhibitions include On the Edge of a Blue Sky with Fiona Kelly, The Courthouse Gallery, Co. Clare, Mainland, E;vent Gallery, London, , 411 Galeries, Contemporary Irish Drawing, China and The Crawford Open, “Sleep of Reason”, Cork. Upcoming exhibitions include a solo show at The Custom House Gallery, Co. Mayo in early 2015. 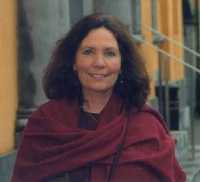 Her work is included in private and corporate collections in Ireland and the U.S. The artist gratefully acknowledges the support of Laois County Council, and Kildare Arts Service. A Return to the Crossroads. It was my good fortune in 2002 to be appointed Artist in Residence in County Laois with a brief that was as broad as it was fascinating; To unearth the stories from a landscape and area of Ireland which was up then, relatively unknown to me. Now, let it be clear, I am not a folklorist by any manner or means, but as an Actor and Storyteller, I have a keen interest in the oral tradition, and the language of story. It is the raw material for what is unique in the drama, literature and poetry of Ireland. I believe also, that tradition is not some dead artifact but a living resource which helps us rediscover our history in order to shape the future. In consultation with Muireann Ní Chonaill, the Arts Officer in Co, Laois, I decided in 2002 to concentrate on recording the voices of people who remembered the oral history and stories, and I met some wonderful people who shared their memories with me. We created a collection of Audio CD’s and a Video, entitled Tales at the Crossroads. The crossroads refer to the old roads which traversed Ireland, all leading to Tara, which was the seat of the High King. Subsequently, Tales at the Crossroads, became the title of a a six part Radio Series which was broadcast on R.T.E Radio One, which celebrated the variety of people and stories, I met during the year I was there. Stories came from surprising quarters. One day I was contacted by a young woman who lived in Finglas in Dublin. She presented me with a wooden box full of copy books in which her uncle Joe O’Neill from Mountmellick had filled with his memories and stories of his life . After his death, the box was found under his bed,in the cottage where he lived alone. Joe’s stories were funny and sad, and were calling out to be heard. They became the basis for a performance by local Actor, Shay Flannery and musician, Katherine Hyland from Ballinakill, entitled, “The Confessions, the Truth and the Lies of the Old Reprobate”, which was the title Joe gave to his ‘books’,and he called them. That first performance in Maloney’s Gaelic Bar in Mountmellick, provoked great interest and the show toured extensively throughout many counties in Ireland subsequently. Twelve years have passed and now I find myself returning again to Co. Laois to take up a short residency at the Arthouse in Stradbally thanks once again to wonderful support of Muireann and her colleagues in the Arts Office. This time however my intention is to compile a book of Laois Folktales for the History Press. This will be part of the Folktales of Ireland series, which is proving very popular. I hope to follow on then with Folktales of Offaly. The residency at Stradbally will allow me to revisit some of the people and places which featured in the audio CD’s, now stored in the local library. I recorded some great tales from 6th. Class in Camross National School. I wonder where those children are now 12 years later ? Do they remember the stories they told me ? Many of the older people I met then have passed on, but their stories remain. I look forward to meeting again, those who are still with us, people such as Paddy Heaney from Cadamstown and my friends from the Sliabh Bloom mountains, whose Storytelling Festival, which began in 2013 and is still going strong. I am also grateful for the support from the Heritage Officer, Catherine Casey and the Library Service. Most importantly, here in Ireland we are fortunate to have the rich collection of the Irish Folkore Commission, who have preserved so much of our precious oral traditions. I have already begun researching the stories from Laois and Offaly, which were collected in the 1930’s, 40’s and 50’s. A treasure trove of stories rich in mythology and mystery, are waiting to be savoured.Nuala Hayes . September 2014.